1 Bedroom Maisonette For Sale in Woking for Asking Price £195,000. This bright and spacious ground floor apartment offers the luxury of your own garden in a location just minutes from Woking town centre and mainline train station! 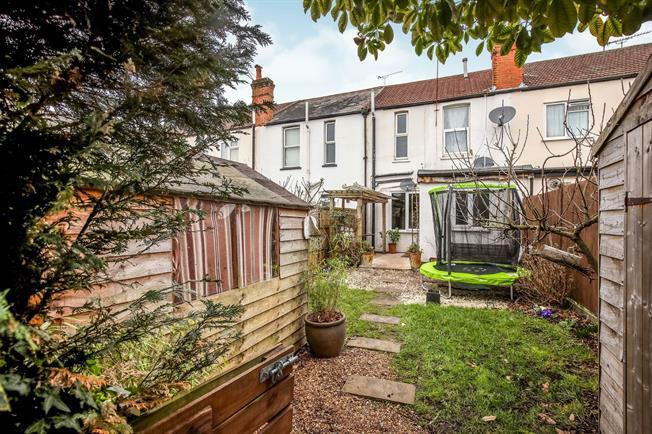 Enter in from the rear of the property into a quiet, private and picturesque rear garden, complete with a shed for storage and your own ground floor entrance. Boasting a bay-fronted double bedroom, the property also consists of an open living space with character features such as an original brick Victorian fireplace, as well as a modern bathroom Double glazed throughout, we are bringing this property to the market chain free, so if you are seeking a straightforward purchase and need to be close to town, this is the property for you.